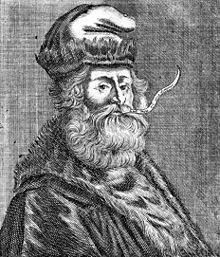 Ramon Llull (Catalan: [rəˈmon ˈʎuʎ]; c. 1232 – c. 1315), T.O.S.F. (AnglicisedRaymond Lully, Raymond Lull; in Latin Raimundus or Raymundus Lullus orLullius) was a Majorcan writer and philosopher, logician and a Franciscan tertiary. He is credited with writing the first major work of Catalan literature. Recently surfaced manuscripts show him to have anticipated by several centuries prominent work on elections theory. He is also considered a pioneer of computation theory, especially given his influence on Gottfried Leibniz.Llull is well known also as a glossator of Roman Law.